Media and Contents: Soft cover, 143 pp. Advantages: Clear photos, especially the color ones, and the color profiles will inspire many modelers. The modeling section provides plenty of information and will be very helpful to the modeler. 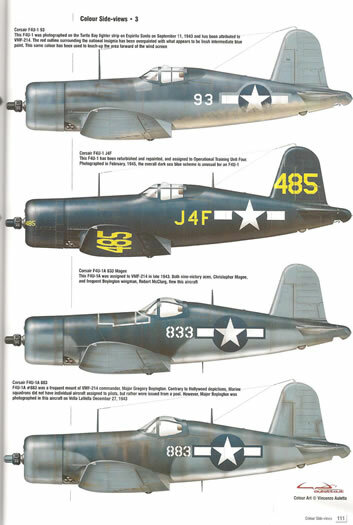 Conclusion: If you were going to have one book on modeling the Corsair this would be that book. Okay, before you read any further let me say that I contributed to this publication and the authors are my friends….so you better like it as much as I do. Typical of the SAM Publications MDF series, this soft bound A4 sized book is printed on 143 high quality paper. The book includes beautiful color and black and white photos, many of them never before released. The color photos are especially interesting and helpful. This book is obviously written by modelers for modelers. There are plenty of great photos of interiors and wheel wells. The detail nuts will not feel left out either as there are plenty of high quality photos that cover various details throughout the airframe. The text is easy to read. Historical text tends to be dry but the authors have overcome this with what is quite enjoyable and informative. I liked that each chapter starts with a little story about a pilot who actually flew that particular version. It gives a nice ‘personal’ history to the aircraft. Some of the stories are quite amusing, such Blacksheep ‘Wildman’ Chris Magee. 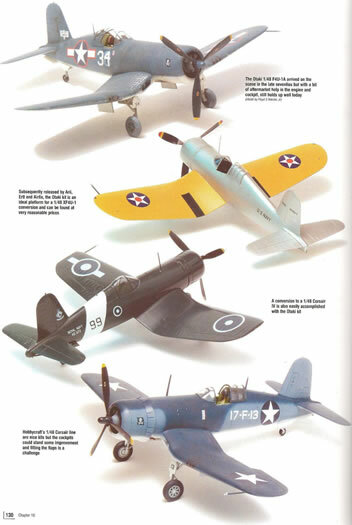 The chapters follow the development of the Corsair from prototype to the F4U-7 and AU-1. Interestingly the designation -1A and -1D were not Navy designations but designed by historians to determine the modifications applied to the airframe. Each version of the aircraft includes a complete cockpit walk around. This is especially interesting in the prototype. Most of these photos have not been seen before. Some aircraft are given more attention to special items. 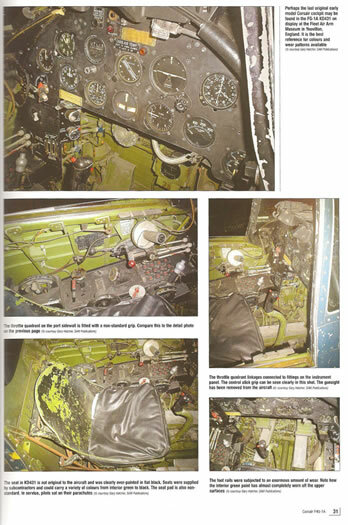 The elusive and mysterious salmon color is discussed and a piece of an unrestored airframe is shown so the modeler can finally see what it looked like and that in fact it did exist. The unrestored FG-1A KD431 is shown in color which is really interesting especially the cockpit. Another aircraft that you don’t see very often is the cannon armed F4U-1C. There are photos of the cannon installation that I’ve never seen before. There are photos of them deployed on the USS Shangri-La and Bunker Hill. Now that is something you don’t see everyday. The modeler will have a great time with this particular variant alone. Because the book is written by modelers each version has a section on colors and markings section. Did you know that the tri-color scheme is actually a four color scheme? Read the book to determine what the colors are. Hint is on page 39. The color profiles are nicely rendered by Vincenzo Aultetta. The aircraft are set up in alphabetical order as opposed to operational development order. So the F2G is before the prototype but this is just something I noticed. I would have preferred to go in developmental order with the prototype to the final version just to see how the aircraft grew. 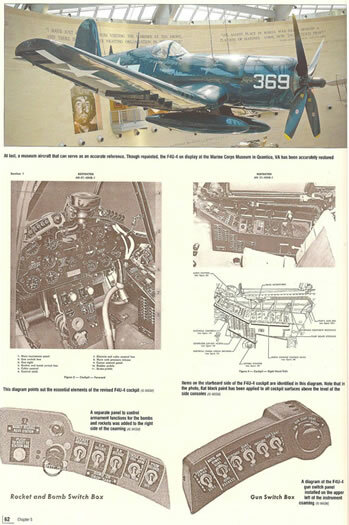 The Corsair’s Foreign Service is included. Color photos of some Fleet Air Arm Corsairs highlights this chapter. The New Zealand aircraft are included as well. El Salvadore and Honduran aircraft are shown for those that like there Corsairs with a Latin flavor. There is a young soldier showing Captain Soto’s Corsair with three aircraft kill markings. These were the last air to air kills of the Corsair during the 1969 Soccer War. The modeling section is broken down into scales with the opinions of the authors included. This will allow the modeler to figure out where to spend their money. This section also features models built by various modelers, including this reviewer. Also for the modeler, there is a breakdown of kits, accessories and decals offered in various scales. 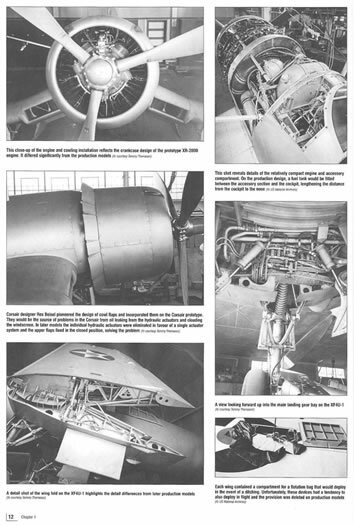 Four view scale drawings are included in 1/48th scale, but unfortunately they only include the F4U-1A, F4U-1C, and the FAA conversion. It would have been nice to have the rest of the versions included if only in 1/72nd scale. 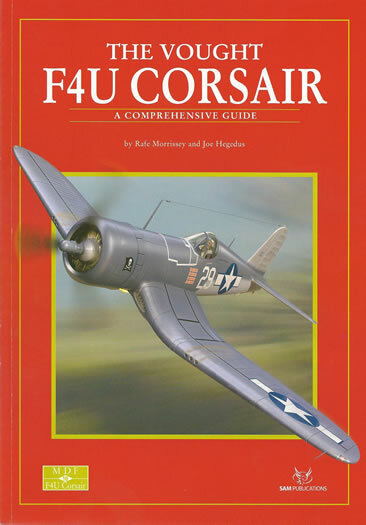 If you were going to have one book on modeling the Corsair this would be that book. It is comprehensive in its dealing with colors, markings and changes between variants. The clear photos, especially the color ones, and the color profiles will inspire many modelers. The modeling section provides plenty of information and will be very helpful to the modeler. This book does what the authors wrote in the forward, and that is provide the modeler with a book that has all the information in one spot. This book is obviously a labor of love for both authors and it shows.